Keeping my Hope by Christopher Huh. What got him interested? He visited the Holocaust Museum. Even though the story of this boy is a fiction, I am looking forward to getting a copy sometime in the next few months (possibly two, as one of my son's friends mentioned interest) and seeing what happens in this tale, as Christoper put in a lot of research. It is good to see child authors pursuing their dreams, and even better to see that someone of that generation was so moved by the museum that they wanted to do something to ensure that the dark place in our history is never forgotten and never repeated. Let's have a round of applause for Christopher Huh. Best of luck in any future publishing endeavors! You can hear him pitch his book at his Kickstarter. It is available for $10.95 on Amazon. When he first showed me his review, I couldn't help but to blush. It made me very happy to know that the book and series is starting to find its market. From the outset Dragon Shaman : Taming The Blowing Wind, by Teresa Garcia, plants one foot firmly and confidently in the realms of the spirit world. But this is no preachy evangelical sermon, or airy fairy new age nonsense, this is the spirit world of the Native Americans. As I read on, I was reminded that this spiritual perception of nature, and the world at large, is shared by many other cultures in many other parts of the world. Our heroine, the wonderfully named, BlowingWind MountainChild, is the daughter of an Irish mother and an Apache father. Although her father is killed while she is still a child she continues to follow the spirit path of her Apache heritage. Later she is devastated by the death of her lover, to the point that her soul is fractured into the separate components that make up a human psyche. She travels to Japan on a spiritual quest, where she encounters the Japanese equivalent of the Native American spirit world. Personally, I would have preferred to remain in America and learn much more about the wonderful and mysterious native culture there, but I had the feeling we were retracing the steps taken by the author at some point in her life. There was just enough of the Irish mother's spiritual heritage to remind me, personally, that this way of looking at nature: where mountains and lakes and rivers are inhabited by entities that may be malevolent, benevolent, or simply indifferent to man, was also shared by the Gaels of my own country. I live in an area where we are surrounded by the echoes of this long forgotten spirit world. Stone circles, mysterious mounds, tombs, carvings, even - dare I say it - an entity which was believed to inhabit Loch Ness. A book like this is so rooted in the beat and pulse of nature, the descriptions of the natural world so rich and vivid, that only someone with the eye of a poetess, and the heart of a naturalist, would be able to do the story justice. The stars blazed overhead like diamonds in a rich field of blackened velvet while the pines whispered among themselves in their quiet groaning language that only they spoke. Word painting of this quality is a joy to read, and I was genuinely disappointed when I reached the end of the book. Fortunately for me, and for anyone else who discovers this wonderfully talented writer, this is the first in a series. I look forward therefore to spending more time looking at the world through the pen of Teresa Garcia. Isn't that a beautiful review? He tells me both what he enjoyed, and what he didn't like/would like to have more of. Those sort of reviews help a lot for an author, as then the author (in this case, me) can see where they can grow. Good reviews are the author's friend, and can help shape the way later volumes of a series present things (in this case, I see that more of the Native American culture/cultures is desired... which will indeed be coming in more). If you'd like to get a copy of the book yourself, you can find it several places. 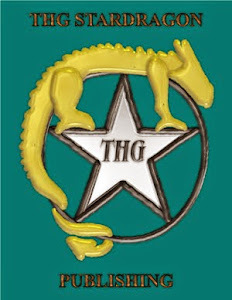 Just a few moments ago I approved the audio edition of Call of the Kami by Teresa Garcia/Teresa Huddleston-Garcia, as narrated by Andrea C. Missias, for production. This means that in two to three weeks it will be available in Amazon, Audible, and iTunes for purchase, joining print and ebook editions. I learned a lot during this production that will help with future audiobooks. Always have lots of time in the contract for production is one of them, because the narrators and producers often have other projects as well ahead of what you are wanting them to work on, and have lives. We had lots of time built into the contract, and life proceeded to happen more than expected. So I was very glad that this project had a flexible time frame. Good things are worth waiting for, and rushing something makes no sense. I'm very pleased with how the audiobook turned out, and proud to have it joining the other projects. I hope that you readers enjoy it... My daughter had me pausing the audio often while trying to decide where the sample should come from, so that we could talk about each piece and some of the stories behind them. Exactly the sort of reaction I wanted. Also, a big happy birthday to my daughter. The first royalty check from the first collection of Lightning's Adventures on audio book was in the mail yesterday. I was very surprised to find such a big envelope folded into my little work mailbox, but it was really gratifying to see who this giant envelope was from and with my name on it. It wasn't a big check, but it certainly puts a bit toward Lightning's vet bill to help pay that down. Six copies sold last quarter, with one of those in the UK, so it was really neat to see which countries those copies went to. Hopefully those will keep selling, as The Adventures of Lightning the Cat will help toward keeping him supplied. I highly doubt that the books and audiobooks in that line will ever totally cover his needs, but each purchase we're looking at as a sign that somebody was interested enough. This is a good example to my daughter of how things can start to pay off when sticking with them and keeping the ball rolling, so to speak. She can remember when I was still working on the first novel actually published, which especially sticks with her as working on it was concurrent with her first year that she danced at the local Sun Dance as one of the Buffalo Girls (yet another good experience for her). Athena is working at writing down some of the adventures that she has seen, for the next set. We've decided that the next collection of three will be co-authored, as some of his adventures we both see different parts of. The next will likely deal with The Owl (that thing is huge) and possibly the snake adventure (he used to walk her to school when we first came here). She keeps getting sidetracked, which is why these two haven't been written down sooner. I don't know when they will be combed through and ready, but I've been waiting for a while for her to be ready to finish the stuff that she'd wanted support writing. It would be kind of neat to get his stories done in children's picture book format someday, since the main audience for him was intended as kids. For now though, text only works. I have high school kids that ask me how to get a copy so they can read even, which actually surprises me a bit but also pleases me greatly. Hm... I see Amazon hasn't linked them yet, so I've sent them a message asking them to do so. Also available on Smashwords ($0.99) or search your favorite online bookstore as Smashwords distributes to many stores for me.